He brought “light” through the cracks in the matrix in my opinion. We as a species weren’t ready for the revelation, power or responsibility. Let’s celebrate the LIGHT!. Let us do better as we go forward. I like the differences that are showing up here. 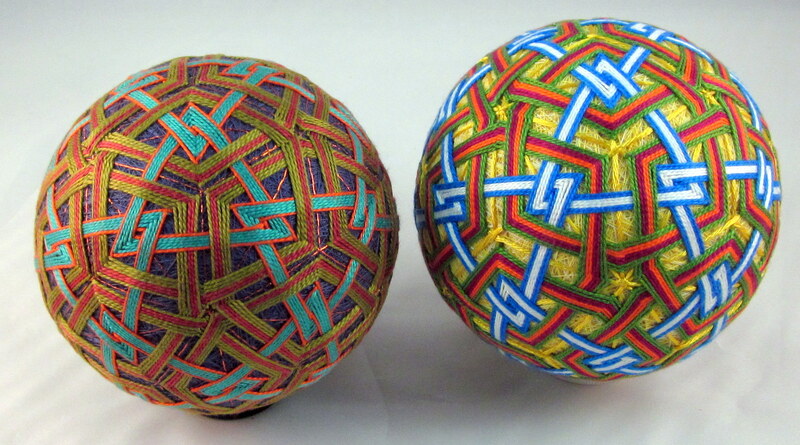 Each pair is using the same Temari pattern but each one has a new color palate. The major structural lines, planes and divisions show up in entirely different ways. Some different things become dominant for each one. It is a reminder for me to keep on playing with this medium until my ”knowing” with certainty what sizes and structures and color ways will do to the change the outcome. I have to wonder if I will ever feel that sense of control over outcome, or if it’s even important. Isn’t that the mystery? The fun? The land of discovery at it’s essence? 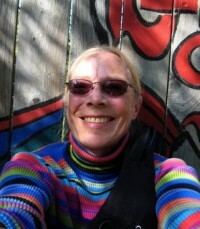 It is also true that the more and deeper I dive into this medium the more it excites me. What a marvelous gift that is. 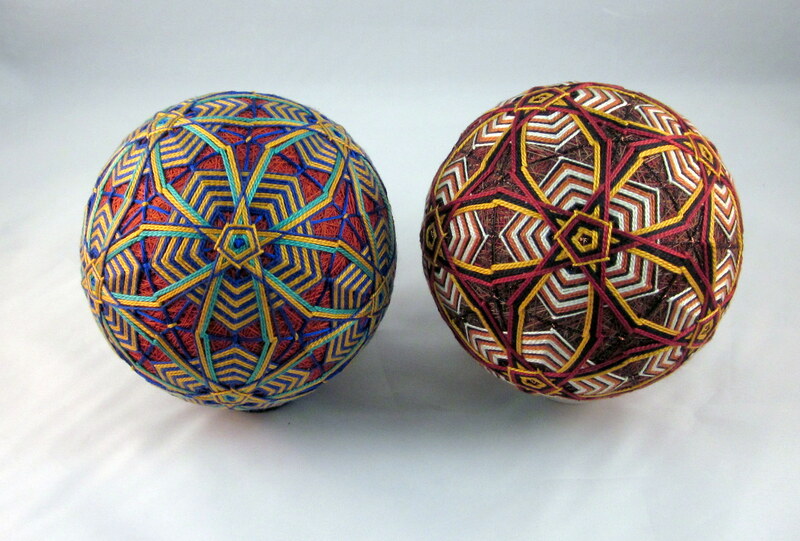 With each Temari ball a new pathway into color, structure, puzzle solving and quiet mind. A gentle and sweet labor of the spheres.